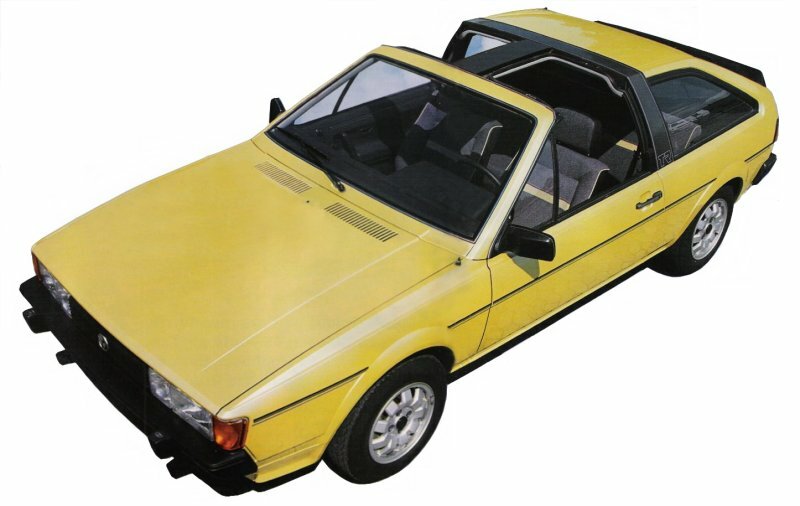 VW built a prototype Mk2 Scirocco with a removable T-roof. 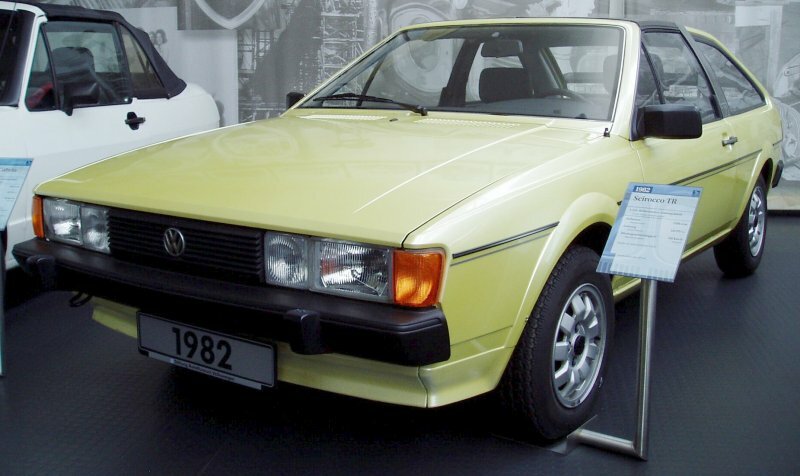 The Scirocco TR, as it was called, never went into production and this sole example of the model now resides in the VW museum in Wolfsburg. 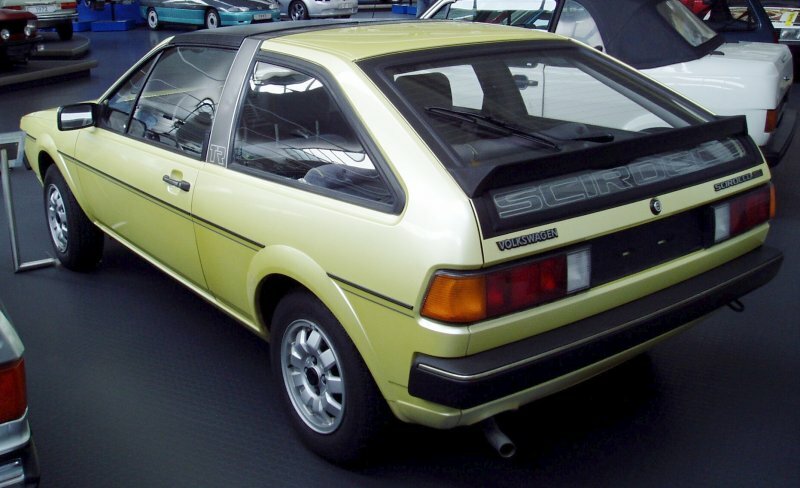 The single wiper gives the Scirocco TR away as an early model. The car is painted in a gold metallic pearl effect colour. 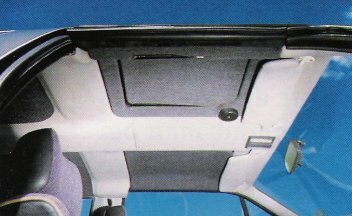 Note the TR logo on the B-pillar. On the tailgate, the Scirocco TR is badged as a GLI. It has the 1.6 litre injection engine producing 110 bhp. 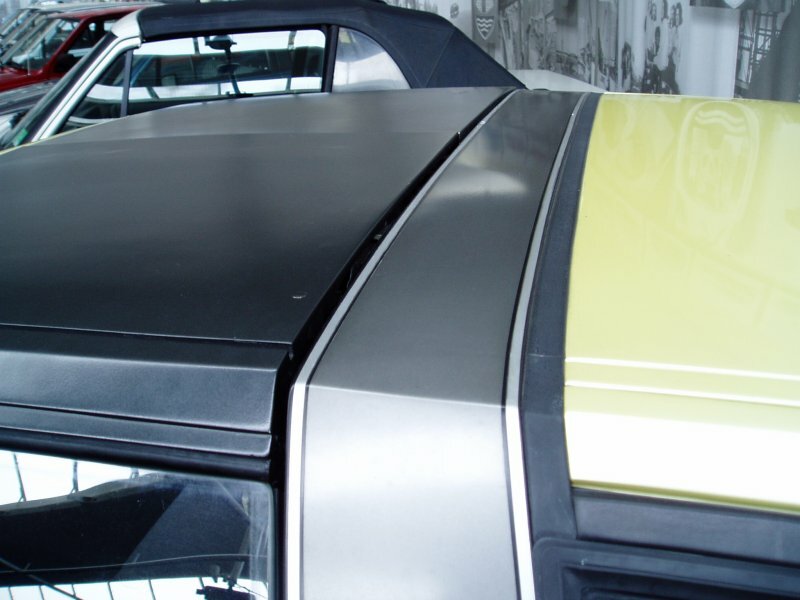 Detail of the T-roof and roll bar. 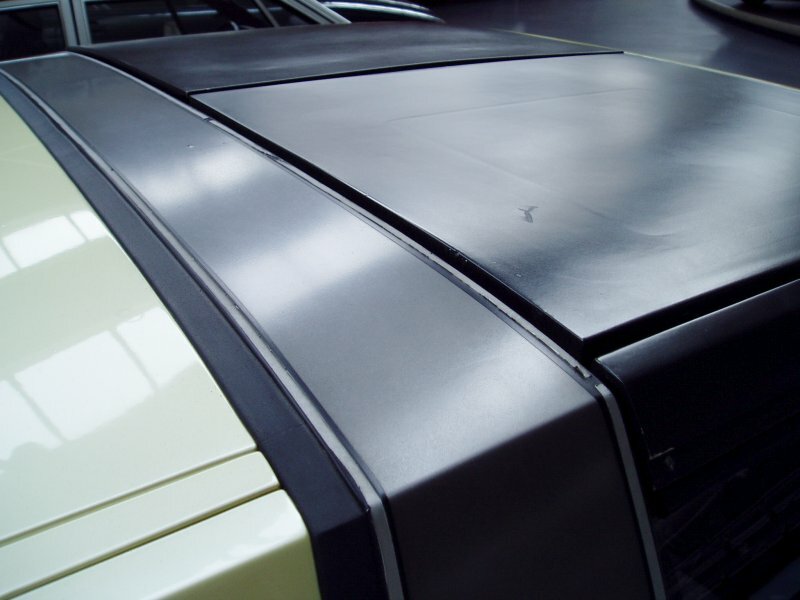 Unlike on production Sciroccos, it appears that the windscreen is bonded to the body work. I assume this is to add rigidity. The two removable sections can clearly be seen in this shot. Note also that the rain gutter is different to production Sciroccos. 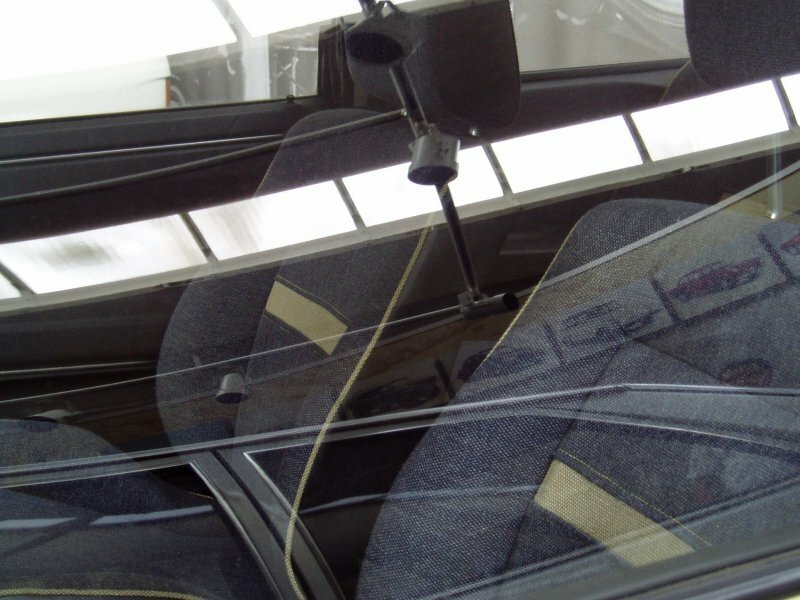 Special seat trim for the Scirocco TR seats. 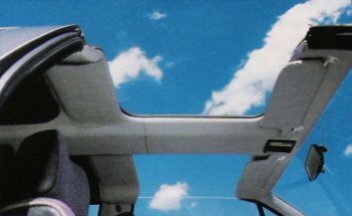 Rare photos of the TR with the roof removed. 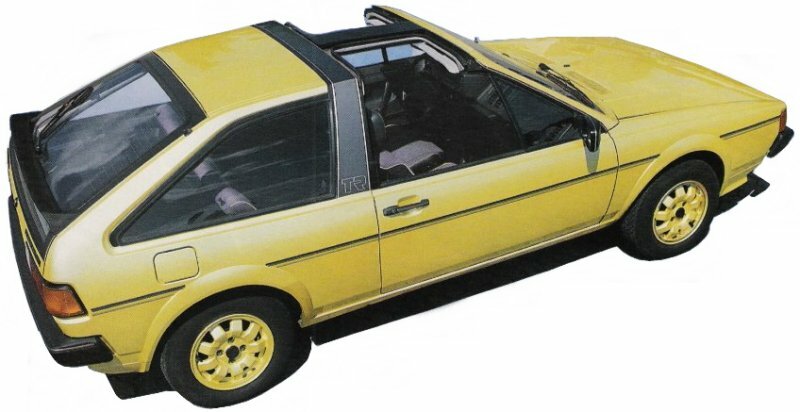 As this car was a design study, the wheels were painted silver on one side of the car and body colour on the other to assess which looked best. It’s a big win for silver in my view. 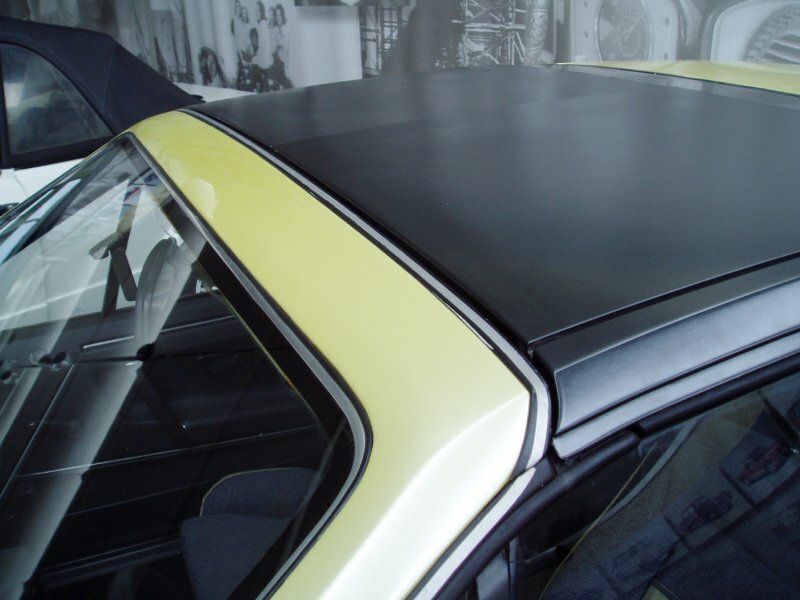 Internal views of the T-roof removed and in place. Many thanks to ‘Rocco-GT2’ and ‘Tempest’ for help with this page.